Notes: Track 10 from the 5th Mirai Nikki OST. I'm still hooked onto Mirai Nikki. My favourite male character is Akise Aru. Why? It's pretty obvious considering I have a fettish for male characters with white hair. 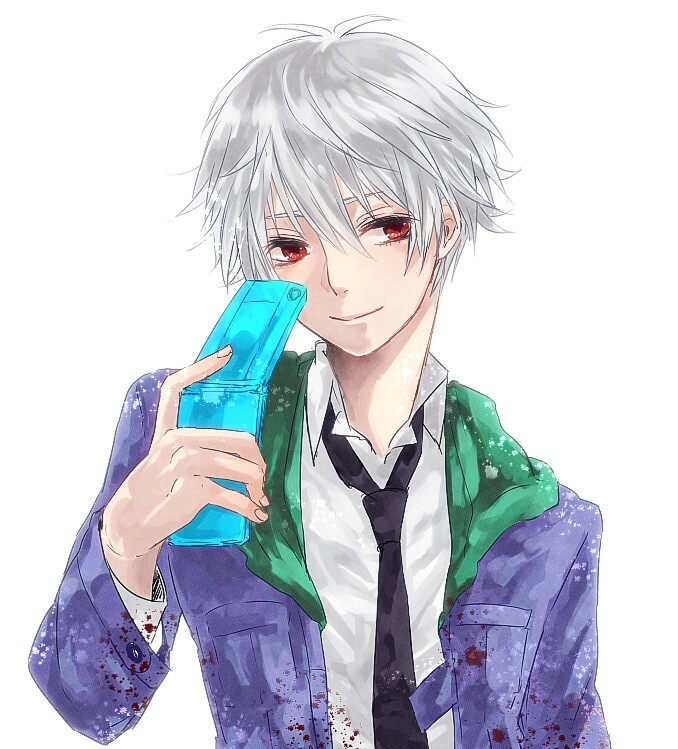 Even more exciting for me is that this bishie has red eyes, and Akise's a smart/cunning character. 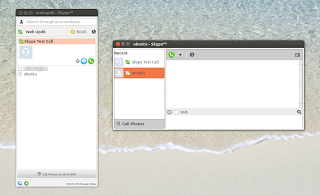 Skype 4.0 for Linux, codenamed "Four Rooms for Improvement" has been released today, bringing some features missing from the Linux client as well as some other improvements. There are also some minor changes like new presence and emoticon icons, store and view phone numbers in a Skype contact's profile, improved chat synchronization, faster chat history loading and more. The wonderful trio of Undines are back in Aria the Natural where they discover more of Neo Venezia and it's surprises. The story is once again captivating and relaxing. Akari Mizunashi continues her training to become a Prima Undine (a professional tour guide gondolier) along with her friends Aika and Alice in the peaceful city of Neo Venezia. Despite the fact that these three girls are from competing companies, they are constantly together, learning more about how to become better tour guides and more about the mysteries of Neo Venezia. As the group continues to meet interesting and unforgettable people through their daily routines, they will also come closer to the secrets that make the enigmatic and ever beautiful city of Neo Venezia so warm and alive. Welcome back to Neo Venezia: the city where miracles can be created by hand. Welcome back to another dream that will make you feel so relaxed and happy. Continuing from the adventures from the prequel, the trio are working hard to become Prima Undines whilst discovering more magical experiences and miracles in Neo Venezia. Aria the Natural brings more of a mysterious and magical storyline with the addition of Cat Sith and the realm of cats. Somehow Akari gets entangled in this mystery and we see her curiosity get the better of her. Throughout the series you will be left puzzled by this interesting phenomenon of the cat's world. It all makes sense in the end and more of Neo Venezia is revealed. Once again, the Aria series is not a let down with a wonderful story, lovable characters and light-hearted comedy. If you thoroughly enjoyed the first series then you definitely will find Aria the Natural more interesting. The art was once again brilliantly animated from the blue sky to the ripples of the water. It is pretty much all the same as the prequel. It is captivating once you appreciate the surroundings and the city itself. Once again the opening and ending theme songs were beautifully composed and very catchy indeed. I enjoyed the first series' opening and ending theme songs more than this series; but that is just a personal preference. Throughout the anime, you will hear the pleasant sounds of everyday life in Neo Venezia accompanied by soft, slow strumming of a melodious guitar that will surely relax your mind and body. The characters from the previous series are all back with the addition of a few minor characters. Akari, Aika, and Alice are all here along with their mentors. Ai-chan appears from time to time but you do get to hear her reply to Akari's emails at the end of the episodes. Overall, it was another enjoyable experience to watch. 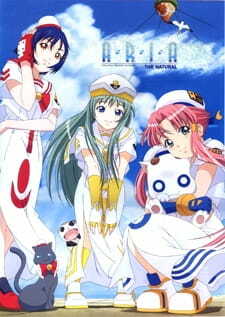 Aria the Natural continues the story from Aria the Animation quite well and introduces more mysteries to the audience. The adventures that these three girls have are endless and you will enjoy every moment of their cheerful personalties and interactions with one another. I just couldn't get enough of Aria the Animation so I am glad that this series was able to keep me relaxed for a little while longer. The art was the same as before; beautifully illustrated and brilliantly animated. Voice acting was perfect and the theme songs were nice. The trio are back and they have more experiences to share with us! As enjoyable as eating ice-cream on a hot day. It's just so refreshing. This anime is meant for you to slow-down and take a break from the rush of everyday life.